Dr Simon Mangcwatywa of Sizwe Medical Fund. 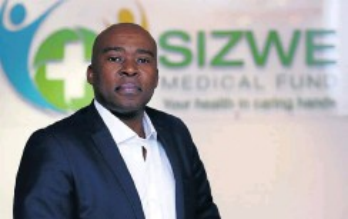 Forty-year-old medical aid scheme Sizwe is looking forward to a fresh dawn as its new principal executive officer, Dr Simon Mangcwatywa – who is also 40 – unveils plans to attract young black professionals. The scheme was founded in 1978 by a group of black doctors, led by the late Dr Nthato Motlana, to assist black people who were uninsured. “Our members run from what people would call your blue-collar worker all the way to your executive worker in a corporate,” said Mangcwatywa. He said the medical aid planned to target a new market that is young, vibrant and healthy – no matter what sector they work in. “The overall strategy is that we need more young people to join the scheme, and the hospital plan is crucial to that. The market of the future demands that the company look to a younger demographic “without forgetting the members that have sustained us throughout the years”, he said. According to Warwick Bam, an analyst at Avior, establishing a balanced age demographic for a medical scheme is becoming increasingly difficult due to high youth unemployment rates and the increasing costs of basic medical scheme benefit options. Benefit options are required by legislation to meet prescribed minimum benefits, which limits medical schemes in their ability to design low-cost products. “Most medical aids offer an option with restricted service providers with a sliding scale contribution rate dependent on your income bracket. “These options are designed for younger people and often provide a balance of benefits in addition to pure hospital cover,” said Bam. Aware of the economic difficulties the country is facing and high unemployment among young South Africans, Mangcwatywa said Sizwe would look at a profile of a young person who has just graduated and is looking for a job in a big, established company. But the difficulty in targeting millennials is that most of those who qualify for medical aid are working for smaller firms that don’t offer a health plan, he said. Sizwe Medical Fund will be rebranded to appeal to the young market. “Rebranding is important without forgetting our history and our legacy. We are rather building on that legacy,” said Mangcwatywa. Currently Sizwe Medical Aid has 47 037 members, of whom 6 367 are direct-paying members. South Africa has 83 private medical schemes. According to statutory requirement, medical aids have to maintain 25% solvency rates in terms of their reserves. Mangcwatywa said Sizwe had a solvency ratio of well over 50%, “giving assurance to the market, stakeholders, brokers that we are financially a stable company, and that results in over R1-billion in reserves – and not many companies can boast that”. Born in Sasolburg in the Free State, Mangcwatywa has an MBChB from the University of Cape Town. He was previously medical director at JSE-listed Adcock Ingram.